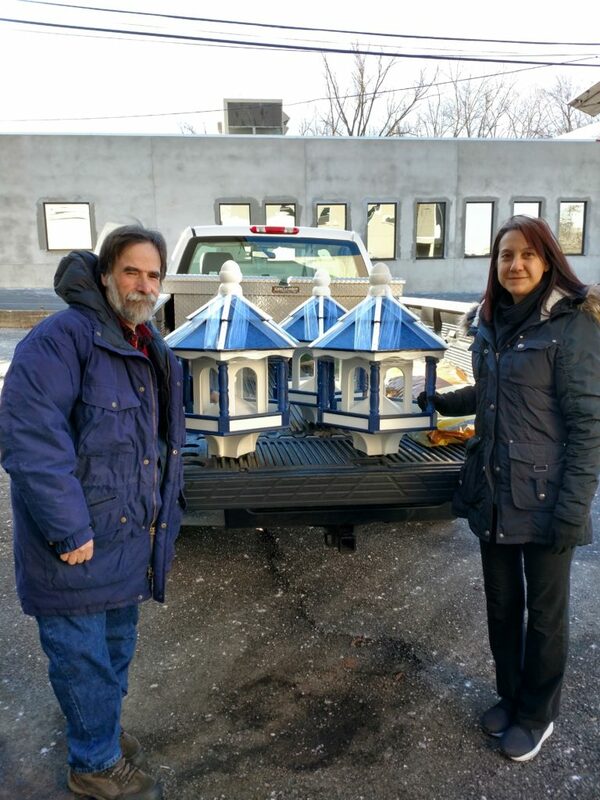 The NJSEA would like to give a huge thank you to the Bergen County Audubon Society for its donation yesterday of three bird feeders for use at DeKorte Park. The beautiful structures, made of recycled plastic, are badly needed for birds such as Cardinals, Blue Jays and Red-winged Blackbirds to find food this winter and could not have come at a better time given the current freezing temperatures. Many, many thanks to BCAS! (Pictured are a freezing BCAS President Don Torino and the NJSEA’s Gaby Bennett-Meany, who oversees DeKorte Park).